A full smile is important for self-confidence and dental function, and Dr. Marcia Blazer can restore your smile with full and partial dentures. We help adults and seniors who want to eat, smile, and laugh comfortably by giving them the benefits of a complete smile. Our practice offers full service restoration procedures and treatments, offering patients multiple options when looking to restore their teeth. 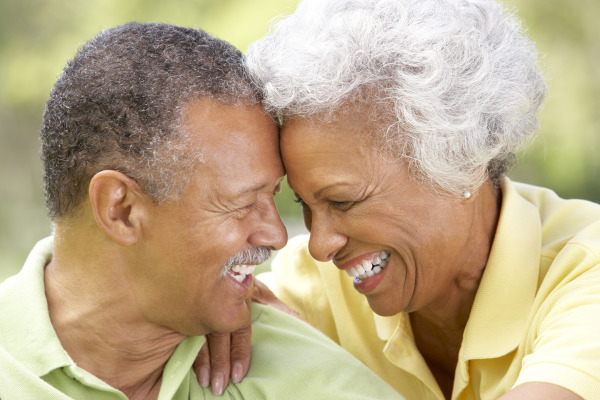 We are located in Scottsdale, AZ, and offer gentle denture services to those in need. Partials are designed to help patients with one or more remaining teeth in the smile. These dentures clasp onto healthy teeth, giving them strength and resilience without any alteration of existing teeth. Fashioned from acrylic, the teeth are attached to a base made to appear like gum tissue. This restoration method will provide a uniform look to your smile, and restore function. They are easily removable for cleaning and repair, if necessary. We provide denture services for patients missing whole arches of teeth. Also made from acrylic with a supporting base mimicking gum tissue, dentures are added to the smile with suction or dental adhesives. Dr. Marcia Blazer strives for every patient to have the best fit possible with their dentures, and further tailors them for enhanced comfort as patients recover from tooth extractions. Everything, from the shading of teeth to the color of the acrylic gums, is fashioned to enhance the beauty of your smile. We give each patient the time and quality attention they need to fully restore oral health and function. Dental implants provide permanent support to dentures and partials. Whereas traditional appliances are removable at any time, dental implants posts are not. Implant posts are attached to your jaw bone, offering similar support to natural teeth roots. After being placed in the smile, they fuse to the jaw bone and become strong anchors for your restorations. They support jaw bone health and growth, ensuring facial structure is not lost over time. Combined with dentures and partials, patients can enjoy a long-lasting smile offering nearly the same benefits as a natural one. Dr. Marcia Blazer is passionate about helping patients achieve their best smile with dentures and partials. We will give every patient a thorough examination to measure their smile, tailoring the appliance to your unique needs. Call our Scottsdale practice for customized dentures and partials.